New evidence presented in a Washington, D.C., federal court claims that American journalist Marie Colvin, right, was killed in a targeted assassination by the Syrian regime in 2012. New evidence presented in a Washington, D.C., federal court claims that American journalist Marie Colvin was killed in a targeted assassination by the Syrian regime in 2012. Colvin, who was 56 when she died, was reporting on the Syrian war for The Sunday Times of London. Rémi Ochlik, a 28-year-old French freelance photojournalist, died in the same attack in the western Syrian city of Homs. The evidence was partly unsealed on Monday as part of a lawsuit Colvin's family brought against Syria in 2016. Key testimony comes from a Syrian defector, who had been a high-ranking intelligence officer and says he witnessed the orders that led to the death of Colvin. "Marie Colvin was a dog and now she's dead. Let the Americans help her now," the testimony attributes Maj. Gen. Rafik Shahadah as saying. The lawsuit alleges that the attack on Colvin and a media center was part of a coordinated Syrian regime campaign to impose an information blackout by neutralizing professional and citizen journalists in the country who were reaching an international audience. The evidence released this week was based on documents and interviews collected by the Commission for International Justice and Accountability, which has relied on Syrian activists and defectors to methodically document war crimes in Syria. In his testimony, the defector code-named "Ulysses" alleged that regime operatives tracked journalists via their satellite phones and urged informants to give the coordinates for the makeshift media center where international journalists worked. Ulysses alleged that Maher al-Assad, the military commander brother of President Bashar al-Assad, rewarded officers involved in targeting Colvin and the media center. One officer received a black Hyundai Genesis, according to the documents. Shahadah was promoted and named head of the Military Intelligence Department. The Syrian government has strongly denied the charges and is ignoring the case, but president Assad spoke publicly about Colvin in an interview with NBC in 2016. "It's a war and she came illegally to Syria. She worked with the terrorists, and because she came illegally, she's been responsible of everything that befall on her," Assad said, speaking in English. Let's turn back now to the beginning of Syria's civil war. On the morning of February 22, 2012, the war reporter Marie Colvin was in an apartment on a narrow street in the Syrian city of Homs. She and her team were about to leave to go report at a hospital when rockets started raining down. KELLY: Colvin's final moments are captured in a Skype call, a video, 18 minutes long in which the shouts grow more panicked, the blasts grow louder. KELLY: A voice speaking Arabic says she's dead, she's dead. UNIDENTIFIED PERSON #2: (Speaking Arabic). UNIDENTIFIED PERSON #3: (Speaking Arabic). KELLY: The video is part of a new trove of evidence submitted by Colvin's family in a lawsuit alleging she was not randomly hit, she was assassinated by the Syrian government. NPR's Deborah Amos has been following this story, and she joins us now. Hey, Deb. DEBORAH AMOS, BYLINE: Hi there. KELLY: Walk us through what we now know about that day in 2012. 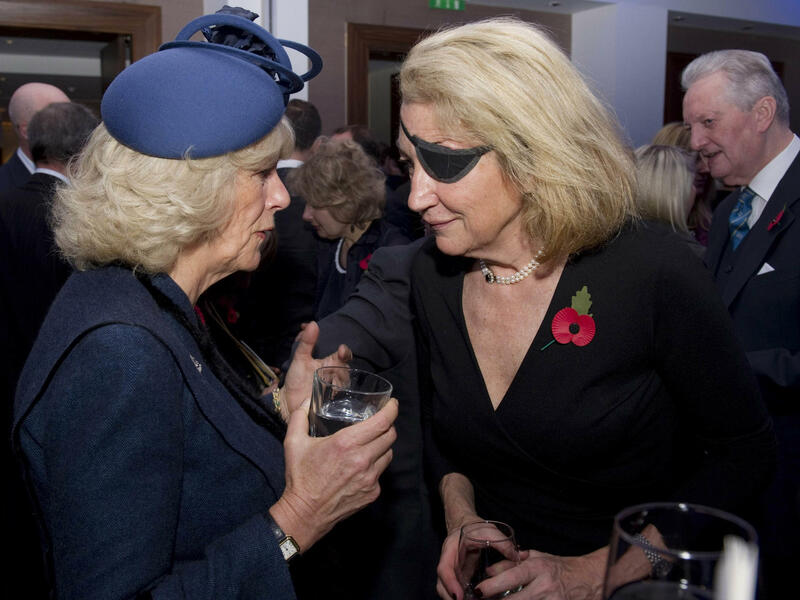 How did the Syrian government allegedly target Marie Colvin? AMOS: So Marie Colvin and other journalists were based in this makeshift media center in the middle of Homs. And this is at a time where the Syrian military is shelling civilians. And the court documents set out a chilling narrative. Much of it is based on the testimony of a defector who was an intelligence officer. We know from the testimony that the chief of intelligence for Syria got a tip from Lebanon that there would be journalists sneaking into Homs. And they begin to beat the bushes. They're asking for informants to tell them where is this media center, and they finally get that piece of information on February 21 according to the court documents. KELLY: And the chilling takeaway is the suggestion that Colvin was deliberately hunted and killed as part of an Assad policy to target journalists. AMOS: That is what this key defector says. He was in the room after she dies, and in his testimony, he says the chief officer in that unit says Marie Colvin was a dog, and now she's dead. Let the Americans help her now. KELLY: I want to give people a sense of who Marie Colvin was. On the day before she died, she gave a series of interviews. Her very last was to CNN, and she talked about watching a baby die after being hit by shrapnel. MARIE COLVIN: We just watched this little boy, you know, his little tummy heaving and heaving as he tried to breathe. It was - it was horrific. Just - I mean, my heart broke. KELLY: Deb Amos, you can hear the determination in Colvin's voice. You can hear the outrage. Tell us more about what kind of a reporter she was. AMOS: Well - and let's think about how she got there. All those journalists in that makeshift media center had to crawl through a four-foot sewage pipe to get into the city. And she was determined to be a witness. And according to the testimony, it enraged the Syrian regime that there was this voice that was contradicting what they were saying. And what they were saying is we are not indiscriminately targeting civilians, but the people on the ground could see that's exactly what they're doing. KELLY: This evidence has come to light because, as we said, Colvin's family has filed a civil lawsuit here in U.S. federal court targeting the Syrian government. What's the significance? Where might this go next? AMOS: It's a wrongful death suit, but it's also the first time that the Syrian government has been in court over a war crime. It is a war crime to target international journalists. The Syrian government has dismissed these charges, has not participated in the court case. So the most likely outcome is a sanctions ruling. And that would mean that Syrian assets could be blocked in the United States. But it's a moral victory because it is the first case. KELLY: Thanks very much, Deb. KELLY: NPR's Deborah Amos. Transcript provided by NPR, Copyright NPR.